Artisans who work with their hands are largely absent in the Chinese historical record; their work is deemed inferior to the intellectual work of scholars. Using the case of Gu Erniang, a female inkstone carver, I seek to work out a strategy to restore the artisan and her knowledge system to their rightful places in the social and gendered hierarchies of early modern China. 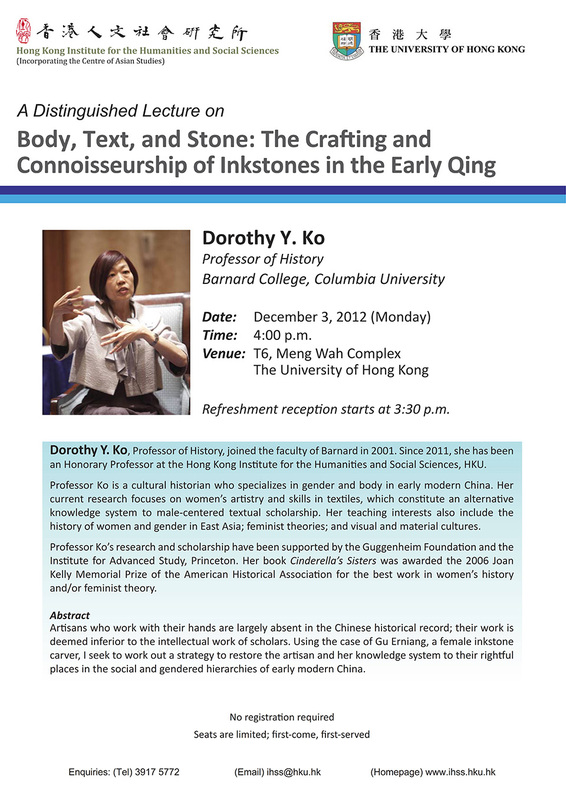 Dorothy Ko, Professor of History, joined the faculty of Barnard in 2001. 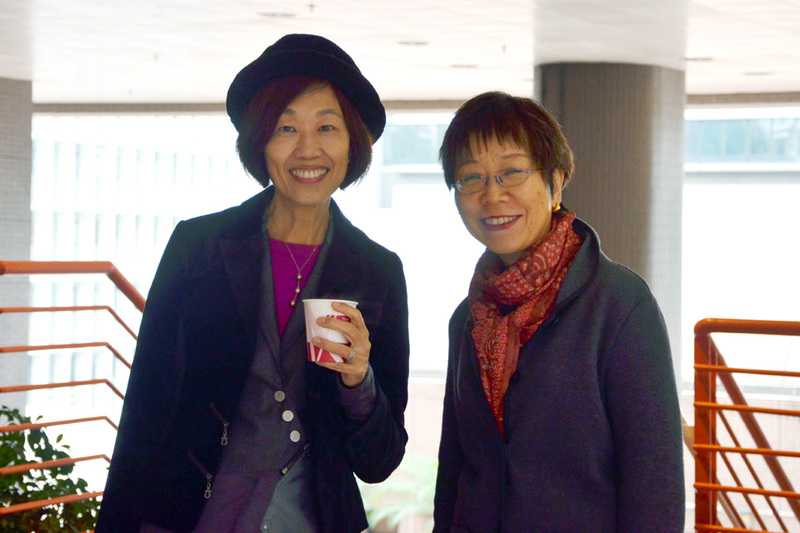 Since 2011, she has been an Honorary Professor at the Hong Kong Institute for the Humanities and Social Sciences, HKU. 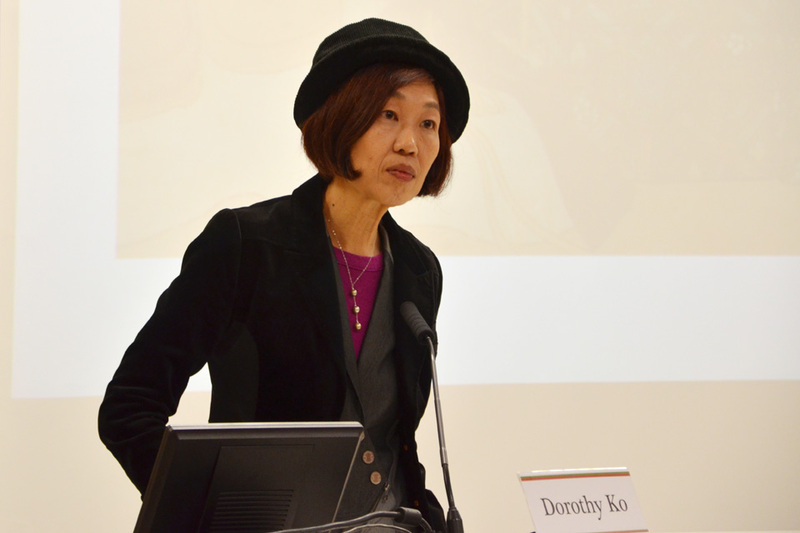 Professor Ko is a cultural historian who specializes in gender and body in early modern China. Her current research focuses on women’s artistry and skills in textiles, which constitute an alternative knowledge system to male-centered textual scholarship. Her teaching interests also include the history of women and gender in East Asia; feminist theories; and visual and material cultures. Professor Ko’s research and scholarship have been supported by the Guggenheim Foundation and the Institute for Advanced Study, Princeton. Her book Cinderella’s Sisters was awarded the 2006 Joan Kelly Memorial Prize of the American Historical Association for the best work in women’s history and/or feminist theory.